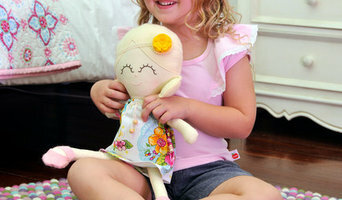 At Happy as Larry we’re dream weavers, child delighters and imagination merchants. Our goal is simple – to make products that are beautiful, magical and made to last. Some children think that our rugs are made by Elves, who stitch together rainbows, but the truth is just as magical. They are handmade by women in Nepal, whose ancestors have been making felt since prehistoric times. All of our goods are safe and have been playfully tested on children. Happy as Larry sources only the best quality wool from New Zealand, for a superior look and feel. We make our products this way so that your kids’ kids will love them! They say that behind every great man is a great woman and behind Larry is Amy Eaton. Amy is a mumpreneur, a wrangler of two beautiful boys and the head honchette behind Happy as Larry.She is also a skilled designer with a Fine Arts Degree in textiles and a soft spot for all things felt. 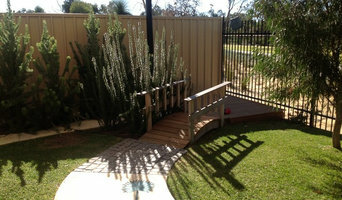 Amy is passionate about making modern nurseries look lovely and her happiest customers are often her smallest. Not only does Amy know how to cut a rug, but she is directly involved in every aspect of the creative and manufacturing process, so while others imitate; Amy creates. Ethically manufactured and Fair trade. We make trompe l'oeil wall art for kids: wall hangings that create the illusion of a window opening onto a fantasy world. We start with a beautiful canvas print and add premium silk flowers, embellishments, and fabric drapes. 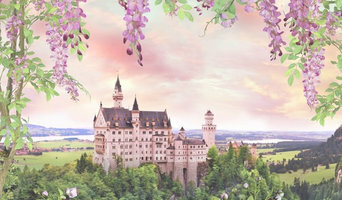 Perfect for transporting little adventurers into their own magical day dream kingdom. We work with passionate educators and professionals like you to design and build beautiful natural play spaces for young children. This is our soul purpose; to reimagine and rebuild a childhood where children are connected with the earth through unstructured play in beautiful, nature-based environments. 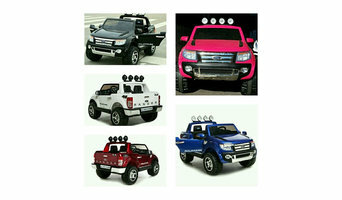 We sell Ride on car/Ride on toys for your kids . 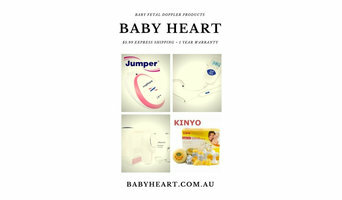 Baby Heart is the online baby store of latest gadgets from before birth all the way till the 5 yrs. We have various latest technology baby products like Baby Heartbeat Monitor, Angelsounds Baby Fetal Doppler, Kinyo Electric Breast Pump, Pocket Fetal Doppler & Fetal Doppler product Perth. So Visit Today! Spoil'em showcases Australia's biggest range of childrens theme beds. Ideal for toddlers to tweens our beds offer the ultimate wow factor. Medical Audiology Services was established in 1987 by ENT Specialists. We provide a high quality, independent and ethical audiology service that has since provided hearing health care to thousands of Western Australians. Total Denture Care uses the most current technology and premium products to ensure the highest quality dentures & mouthguards catered to each patients’ individual needs. It is our mission to provide a customised service that is affordable, honest and reliable, and one you can place full trust in. With over 10 years of experience in the dental industry, our skilled Dental Prosthetist, Steven Anthony, is one of the highest qualified Prosthetists in the state. He is a proud member of the Australian Dental Prosthetics Association and is dedicated to providing the highest level of care to all his patients. Some of the products we offer are: light kids Mouthguards, Standard Mouthguards, Light Pro Mouthguards & Heavy Pro Mouthguards. We also offer Standard Dentures, Custom Dentures, and Premium Dentures. With Total Denture Care you can have peace of mind knowing your dentures and mouthguards are manufactured to enhance your health, aesthetics and pain free living. We will go to all lengths to ensure you are satisfied! Gecko Electrical is specialised in Commercial and Industrial Electrical Installations and completes a range of services including but is not limited to: • High & Low Voltage Installations; • Communication Systems; • C-bus Automated Control Systems; • Fire Detection Systems; • Access Control & Security Systems; • Diesel Generators; • Comprehensive Maintenance; and • Transformer supply and installations. Our team are all well trained and experienced within the electrical industry and supply our loyal client base with the best service and advice possible. We are a growing company with high expectations of our management and staff. We are committed to finding solutions through technology and practicality that will benefit our clients. The challenges of babyproofing a house, furnishing and equipping kids’ rooms and nurseries in Attadale can be time-consuming and overwhelming. Professionals in this area will offer you countless nursery ideas and kids room decor - including cots, cribs and bedding solutions - that are suited to your needs and lifestyle. They will even find you the perfect wall decal! Most designers who specialise in decor for kids’ rooms and nurseries will tell you that a child’s room isn’t just for sleeping in. Little ones need a space where they can learn, play and sleep safely. Furniture, blinds and even lighting have to work safely for both you and your little one. Whether you’re hunting for small or large brands, make sure you chat with your Attadale, Western Australia designer to make sure that what you buy meets safety requirements. To choose kids’ furniture that will stand up to the rigours of active play, look for high-quality furniture that meets Western Australia standards. Make sure that each designer and manufacturer you work with is aware of any product recalls, dangerous materials and structural requirements. If you’re planning a larger project that goes beyond products, you might need to reach out to other qualified professionals for help. Here are some related professionals and vendors to complement the work of kids & nursery: Artists & Artisans, Furniture & Accessories, Interior Designers & Decorators. Find kids’ room and nursery professionals on Houzz. Narrow your search in the Professionals section of the website to Attadale, Western Australia kids’ room and nursery designers. You can also look through Attadale, Western Australia photos to find a room you like, then contact the designer who worked on it.